Meet our featured animal, the narwhal! The horn on a narwhal is actually a giant, spiraled tooth. The long tooth can reach up to 3 m (10 ft.) in length and grows continually to replace wear. The name narwhal derives from the old Norse word nar meaning corpse. 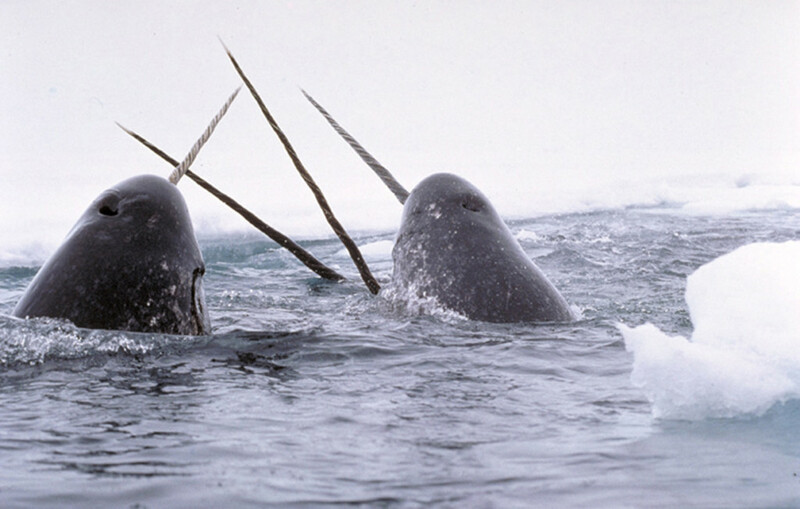 Narwhals travel in groups (or pods) of 15-20 whales. Preying on creatures primarily on the bottom of the sea, they dive on average 800 m (.5 mi. ), but can go twice that. This entry was posted in Conservation, Featured Animal and tagged narwhal by admin. Bookmark the permalink.